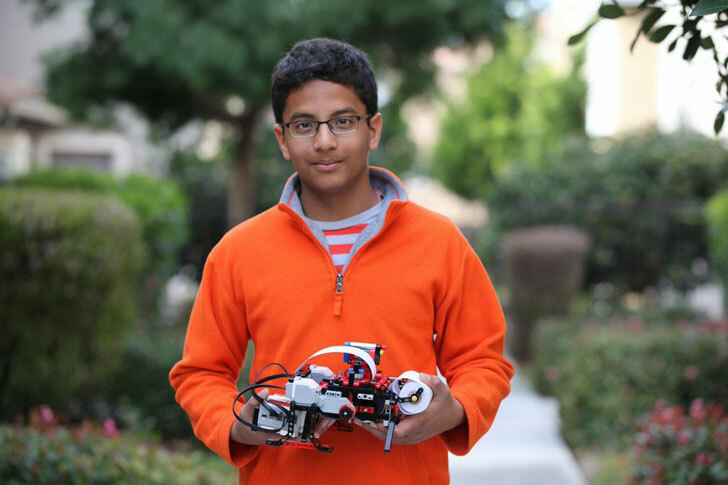 After transforming his LEGO Mindstorms EV3 kit into a braille printer for the blind, 12 year-old Shubham Banerjee is now receiving invitations from the White House. The seventh-grader was formally invited to join the ranks of notable world-class engineers and inventors at the White House’s first ever Maker Faire, celebrating brilliant minds creating for humanity. Typical braille printers run upwards of $2,000. However, Banjeree’s “Braigo” (braille + LEGO)—a completely open sourced design available to all—will put braille printing into the hands of those who typically can’t afford it. Not bad for someone who doesn’t even have a driver’s license. If you hadn’t already ascertained, Banerjee isn’t your typical teenager. The Santa Clara, California student was inspired to create Braigo when a flyer asking for donations for the blind found its way to his family’s doorstep. Charged with the desire to do something for others, Banjeree researched braille printers and discovered the hefty price tag made the valuable machine useless for those without the resources to afford the product. Instead of opting out of the challenge to give back to the blind, Banerjee got to work configuring his LEGOs, building and rebuilding various models with the help of his $350 LEGO Mindstorms EV3 kit. Despite 7 failed attempts at building an inexpensive model, Banjeree kept full-steam ahead until he finally came up with the right prototype. His current model has the potential to sell for an estimated $200 — a price he’ll work to continue to undercut. “I didn’t know if it was possible but I wanted to at least give it a try,” Banerjee told Better India. Banerjee entered his braille printer into a science fair and has since been sharing his invention with the world through instructional YouTube videos and downloadable designs. By maintaining Braigo as an open-source product platform, Banjeree affirms his desire to serve those less fortunate in lieu of fame or fortune. For now, the whiz kid is working on iterating the product to make it better and as affordable as possible. We have no doubt that his first White House invitation won’t be his last. To learn more and download instructions for Braigo visit here. 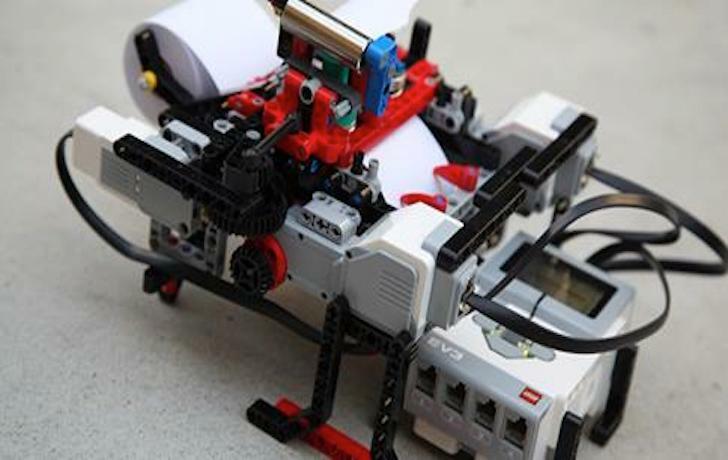 After transforming his LEGO Mindstorms EV3 kit into a braille printer for the blind, 12 year-old Shubham Banerjee is now receiving invitations from the White House. The seventh-grader was formally invited to join the ranks of notable world-class engineers and inventors at the White House�s first ever Maker Faire, celebrating brilliant minds creating for humanity. Typical braille printers run upwards of $2,000. However, Banjeree�s �Braigo� (braille + LEGO)�a completely open sourced design available to all�will put braille printing into the hands of those who typically can�t afford it. Not bad for someone who doesn�t even have a driver�s license.